Long-term travel is truly whatever you make it. It can be fast or slow depending on your rhythm and needs. For me, it’s important to have a nice balance of “chill time” in a home base for several weeks before jumping around in short bursts. When we started out in April, we settled in Spain for 8 weeks but still found ourselves bouncing around the country visiting local cities on the weekends. Having a home base to return to after each trip, kept things feeling grounded and somewhat normal. We then set off on a 6-week adventure through Europe that included changing home bases every 2-3 weeks. That period was pretty exhausting, and so we followed it up with a 7-week stay in Montreal. Each time the extended stay allowed us to reset and recharge prior to the next blitz of adventures. Then, while we hadn’t even originally planned it, we found ourselves in 5 different cities and 4 different countries all five Fridays in September 2016. Needless to say, our downtime in Chiang Mai was a surely welcomed respite from both the whirlwind of late-summer travel and the tiring Brief Return to the Divided States of America. Unfortunately, though, our US passports only allow 30-day stays in Thailand without any sort of visa extension. So at the end of October, we hopped on a plane again to head off for yet another quick weekend getaway. Prior to arriving in Chiang Mai, our plans were pretty open. We didn’t know what to expect and didn’t want to get a 60-day or 6-month visa, without first getting a feel for the city. We quickly grew affectionate for the town and the Thai people. However, we still preferred to use the required visa runs as an opportunity to venture off and explore other parts of South East Asia. Visa runs are pretty common for many US travelers to Thailand as the standard tourist visa only allows for 30-day stays. Those that stay in the North (like Chiang Mai, Pai, or Chiang Rai) have the option of enduring day-long excursions to Myanmar or Laos for bordering crossings. Those trips are typically combined with either a river cruise or a jaunt into a local town for shopping and dining. I’ve heard that the Thai government is no longer allowing 30-day visas for land-based border crossings, so I can’t imagine having to spend an entire day in a bus or songthaew to reach the border, only to receive a 15-day extension. For those in southern Thailand, such as in Bangkok, it’s pretty easy to hop a cheap flight for $100 or less (round-trip) to one of the major Southeast Asian cities (like Ho Chi Minh City, Singapore, Hong Kong, Phnom Penh, or Kuala Lumpur). It would be great if one could find flights to all of those prime destinations from Chiang Mai at cheap rates. Yet, one of the drawbacks of being in secondary cities is the lack of cheap, direct flights to major cities. Instead, for most trips, travelers from Chiang Mai must either pay higher fares ($200-$400/round-trip) or choose from only those direct destinations offered by its primary low cost carrier, Air Asia. 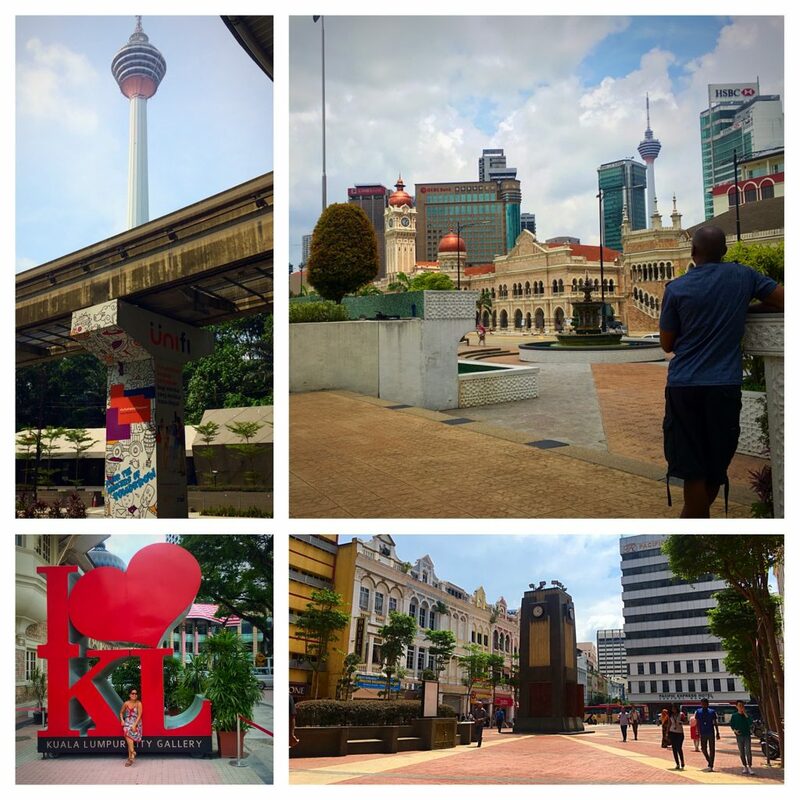 In our case, we chose the cheapest and shortest flight out of the country – a 4-day weekend trip to Kuala Lumpur, Malaysia (KL). As a city kid from Chicago, I grew up admiring the city’s dynamic history. From its early days as a “smelly swamp” (the original native translation of “Chicago”) to the Great Chicago Fire of 1871 and its rebirth, Chicago emerged as one of the great architecture capitals of the mid-20th century. My fascination for similar urban comparisons grew as my travels expanded and later while studying Aeronautical Management Technology at Arizona State University, I became enamored with futuristic airport master plans designed in the late 1990s for the emerging Asian market. Yet, I never thought I’d ever visit Kuala Lumpur (KL). 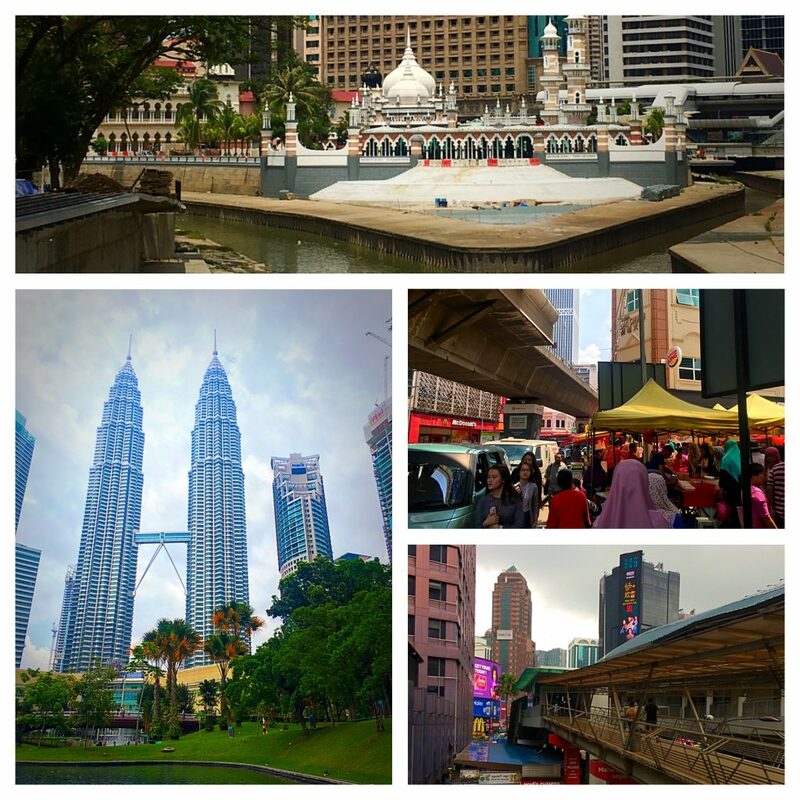 Outside of the Petronas Twin Towers – which overtook my beloved Sears Tower as the world’s tallest building when they were completed in 1998 – I truly didn’t know what to expect with KL. Little did I know that the histories of my hometown and this foreign land would be so similar. For instance, whereas Chicago was named for being a “smelly swamp”, KL was named for being a “muddy confluence.” Both cities had Great Fires that destroyed much of the cities – Chicago in 1871 and KL just ten years later. And both have witnessed severe racial tensions that erupted into race riots – Chicago in the late 1910s with whites and blacks and KL in 1969 between Malays and the Chinese (who surprisingly are the second largest ethnic group in the Malaysian Peninsula). And like Chicago, Kuala Lumpur emerged from its storied past to become one of the great architectural capitals of the world. 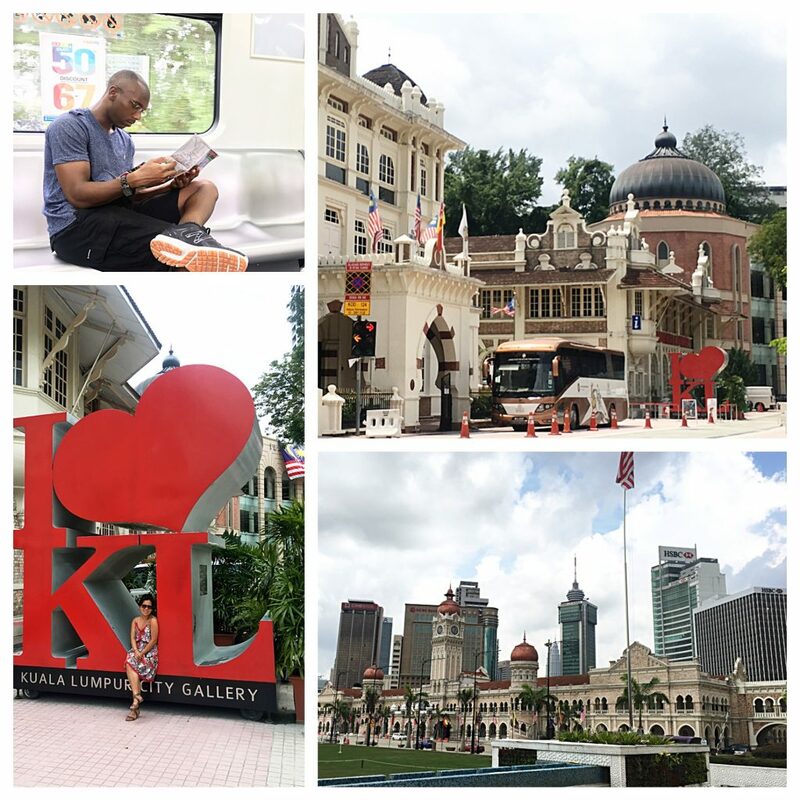 Surprisingly, KL is an easy city to get around and explore. Though the airport lies about 50 Km south of the city and requires about 1-1.5 hours of travel time, once you’re in the city, it’s easy to get around. In addition, the cost of living rivals that of Thailand, so there wasn’t any price shock once we landed and arrived in town. Unlike other Southeast Asian big cities, like Hong Kong and Singapore, the cost of accommodations and dining out in KL more closely resembles that of Chiang Mai and Bangkok. For example, our 28th floor Airbnb studio apartment at the Regalia Residence in the central part of town (adjacent to two train stations and a shopping mall) was only about $30/night. 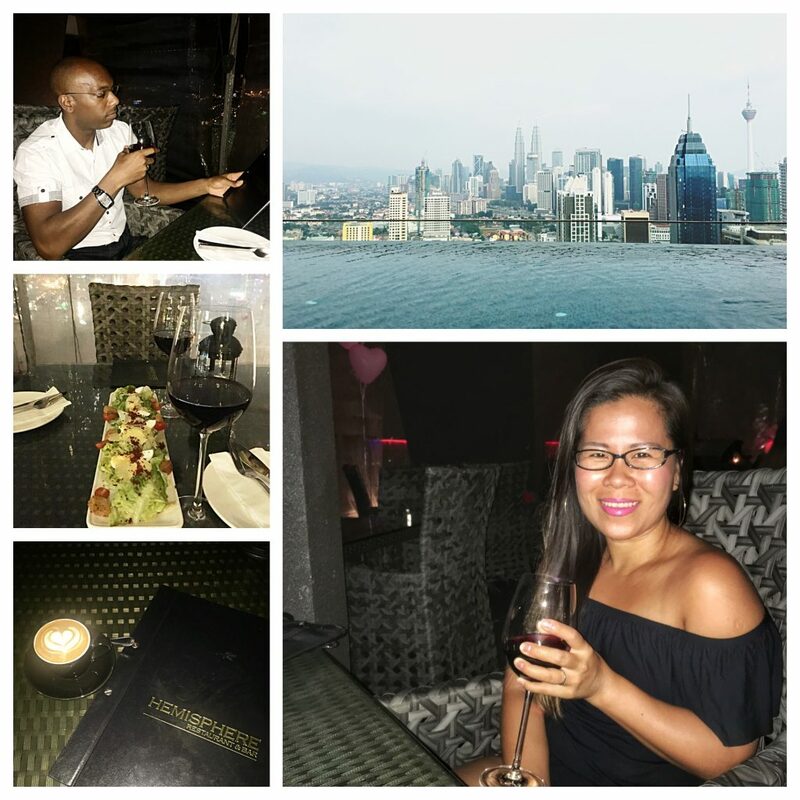 And with a rooftop bar and infinity pool with a view of the KL skyline, you simply can’t beat that. In addition, though KL is considered a primate city, it’s rather small in comparison to most other primate cities like Mexico City, Paris, London, and Bangkok to name a few. The city itself is only 94 square miles (about twice the size of San Francisco with about twice the population) and its metro area is on par with that of the SF Bay Area with slightly over 7 million residents. Yet, its primate status exists due to the fact that it’s more than double the size of the next largest city in the country (George Town, Penang) and much of the country’s economic stability rests in the hands of KL. Nonetheless, KL is easy to get around for travelers and city dwellers -so long as they’re taking trains and not stuck in massive midday traffic jams. 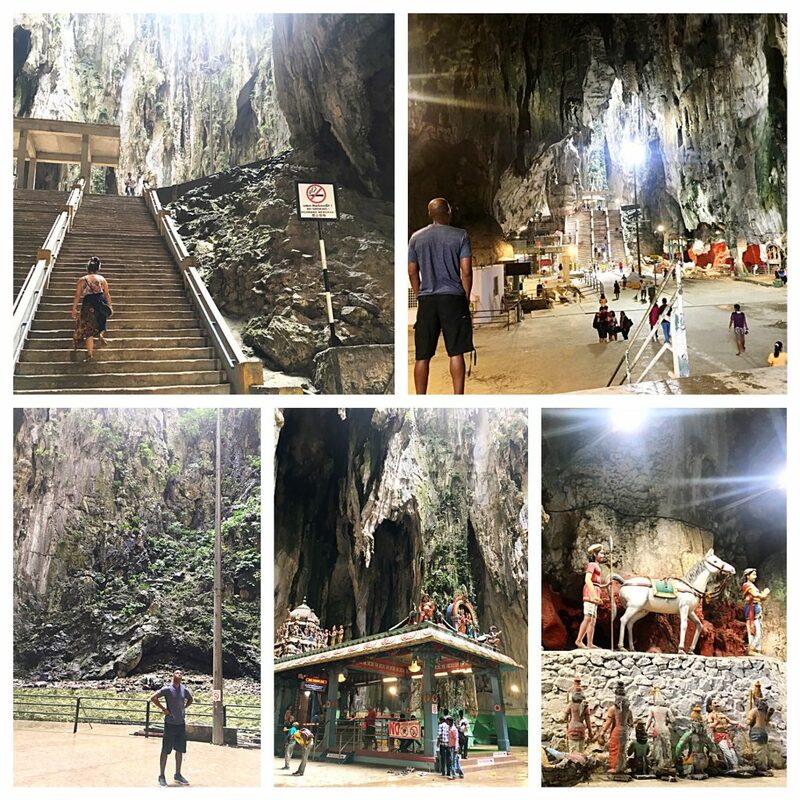 From our apartment in the central part of town, we were able to venture north about 15-20 minutes to the outskirts of town to visit its famous Batu Caves and return to explore much of the city center with quick hops of about 15-20 minutes on the metro. 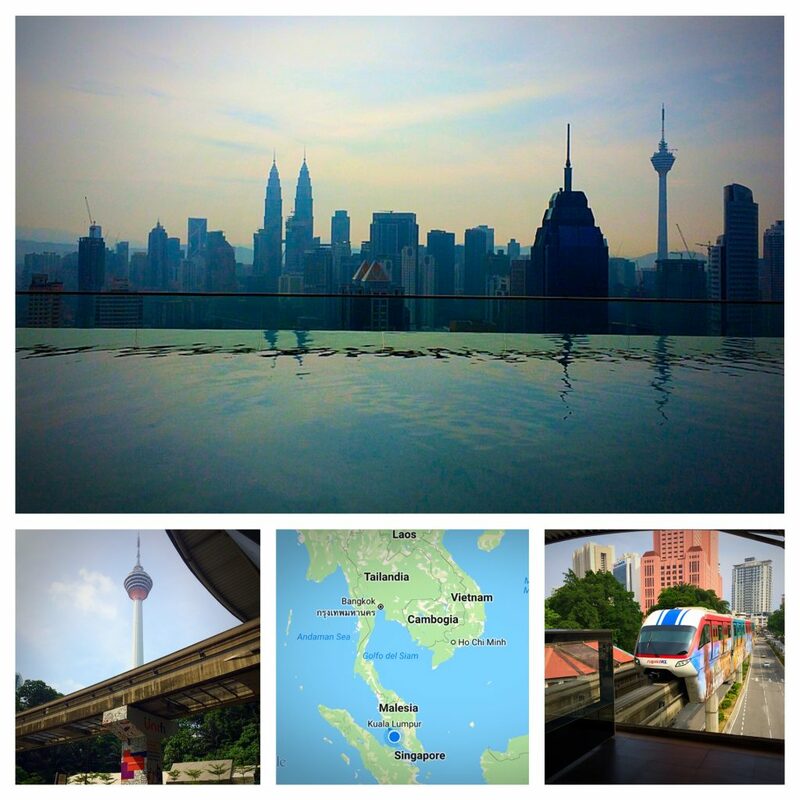 KL is truly a dynamic city with a mix of cultures, culinary delights, and cultural exhibitions. 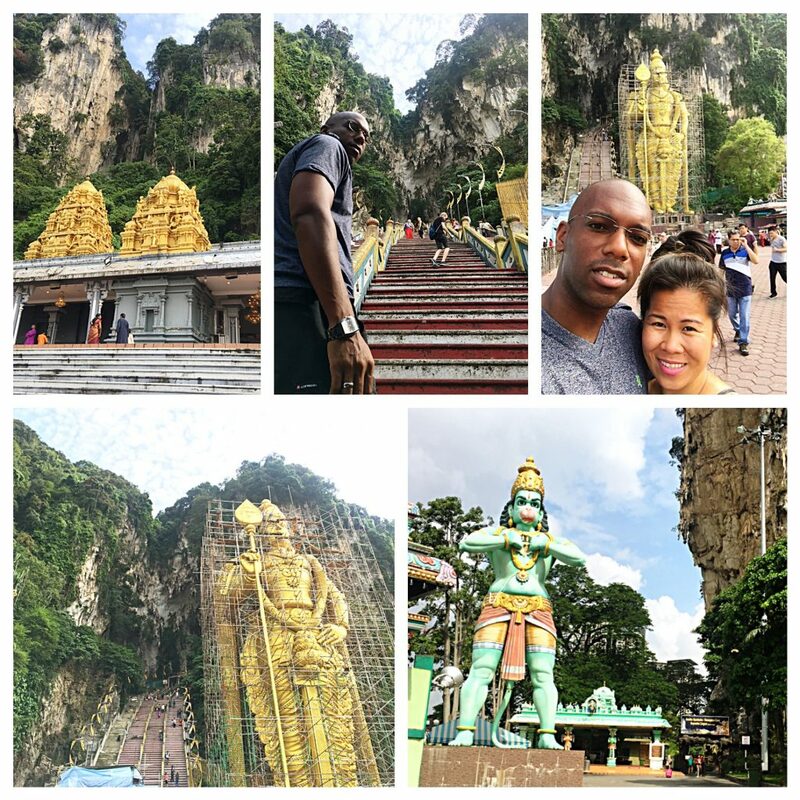 In our short time, we were able to explore a Buddhist sacred site (Batu Caves), witness the masses gathering for afternoon prayers at the Masjid Jamek (the city’s most historic Islamic temple), and be captivated by the blend of late 19th century colonial architecture beset by late 20th century skyscrapers. 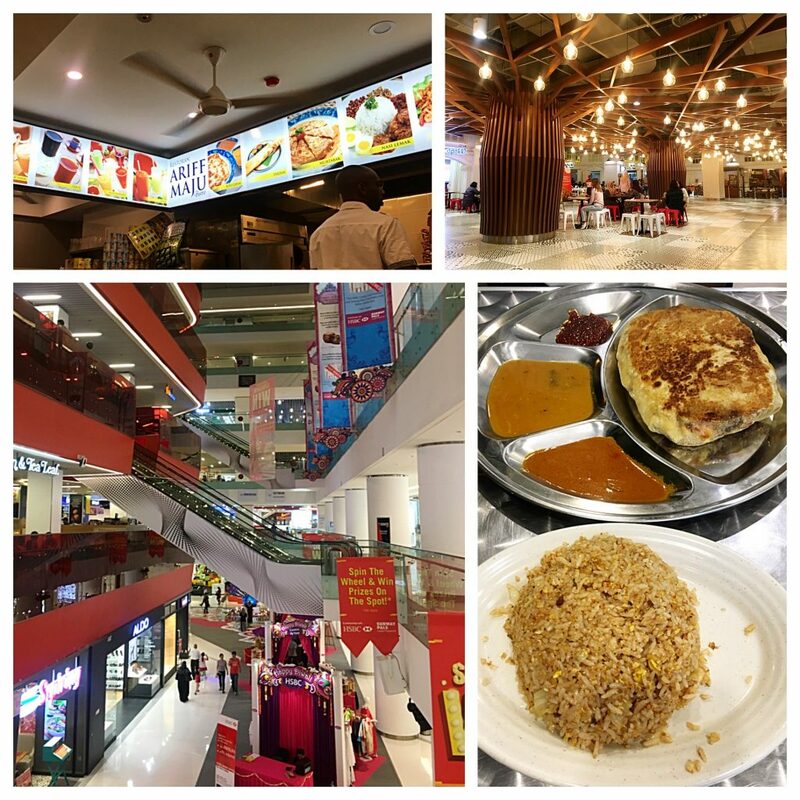 In addition, like most large urban centers in Asia, it’s nearly impossible to venture around town without finding oneself steps from a major shopping center. And when it comes to malls, KL doesn’t disappoint. It seems nearly every major train stop is located adjacent to a large, new shopping center. Just within the Bukit Bintang district, there are literally 7 large malls located across the street from one another. No wonder shopping accounts for nearly 21% of the tourism receipts. As digital nomads with just a backpack and a carry-on, we’re not ones to drain our wallets in these lavish environs. 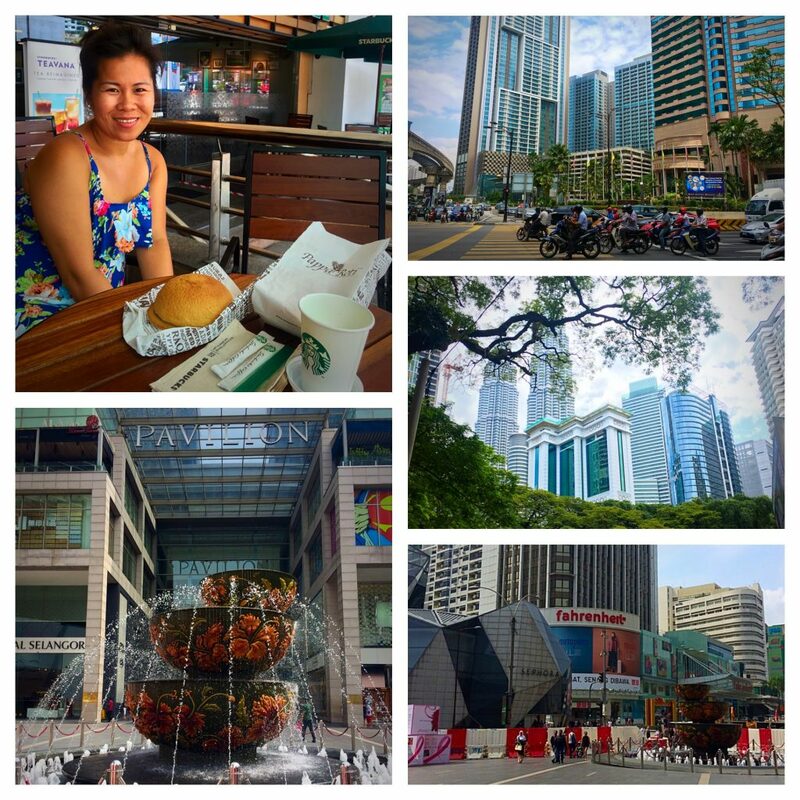 However, it is interesting to see firsthand how much this nation and many others in Southeast Asia are basking in the rejuvenation of their economic centers after the Asia financial crisis in the late 1990s and the recent Great Recession. Instead of partaking in the shopping extravaganzas, we simply grabbed some pastries, a coffee, and read our books at a sidewalk café while the “KLites” (as they are called) strutted by with their shopping bags full of weekend goodies. 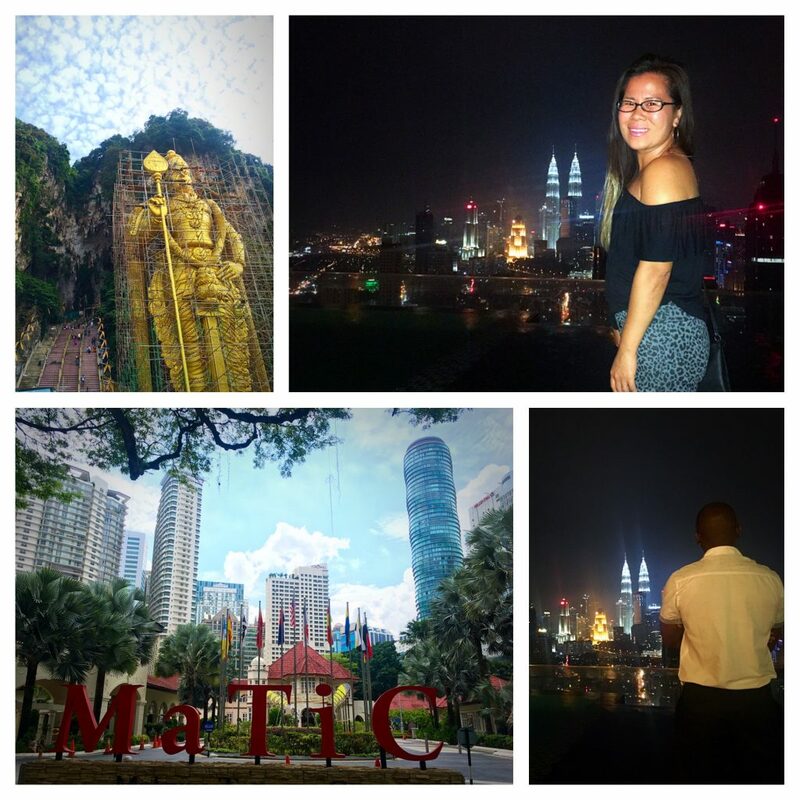 For our first “visa run”, KL was a perfect getaway. In just 2 full days, we were able to get a taste of the eclectic history, culture, and food of one of Asia’s rising tigers. 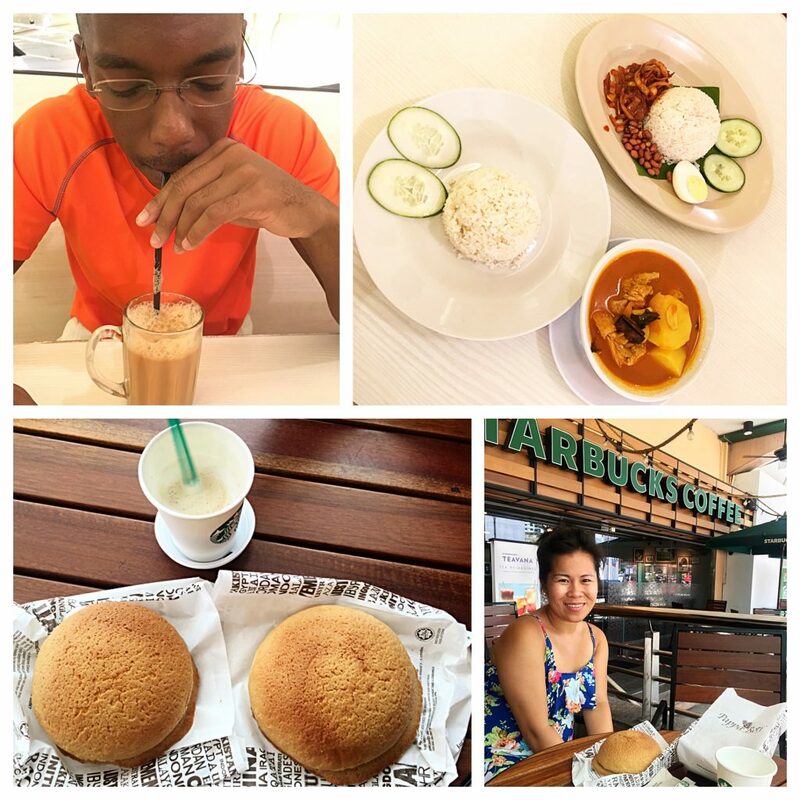 This was just a prelude to our further exploration of the Malaysian Peninsula during our time in Thailand, including one of Malaysia’s former states (Singapore) and its second largest city (George Town, Penang). This trek you have shared continues to be mind-blowing. It’s so amazing that you are able to see such beautiful architecture along with learning and connecting it to the magnificent history. Such beauty! Such an energizing experience for me as a digital on-looker gaping through the global window which you have shared. Big smile and a enormous amount of gratitude for this opportunity. Please continue to share. I welcome the enrichment.